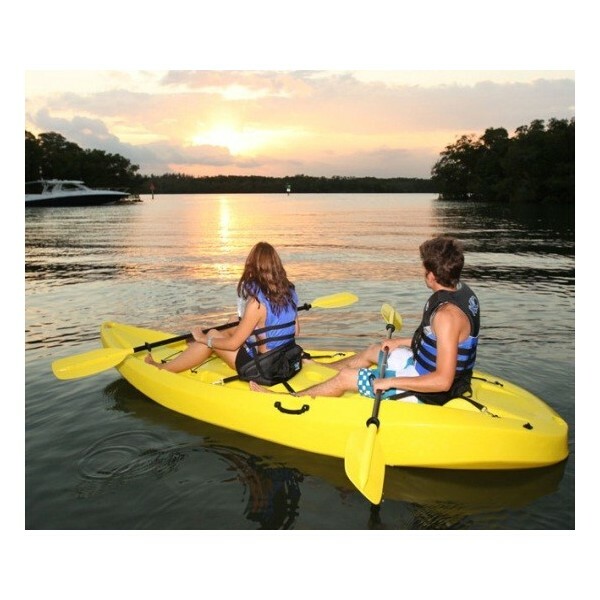 This 10 ft sit-on-top Manta tandem kayak has everything you're looking for--Durablity, light weight, and lots of built-in features including seating for up to 3 people. 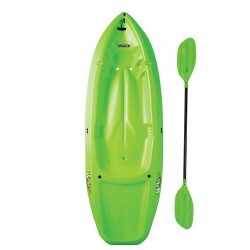 Designed for fishing, surfing, or sailing. 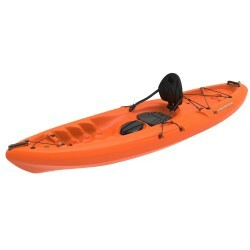 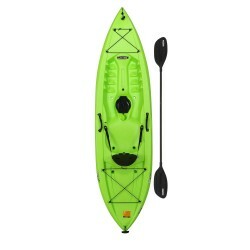 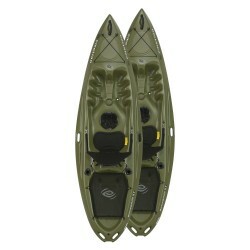 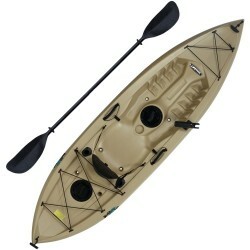 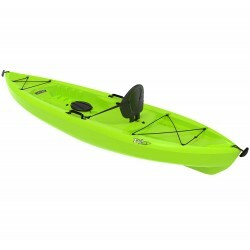 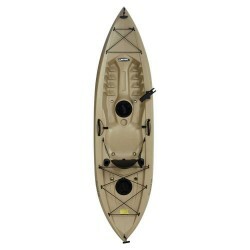 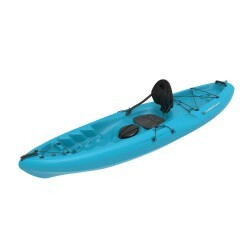 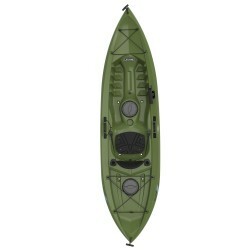 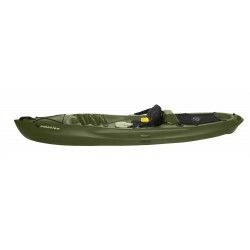 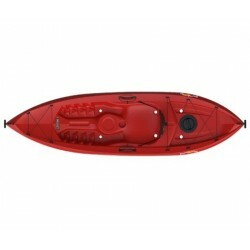 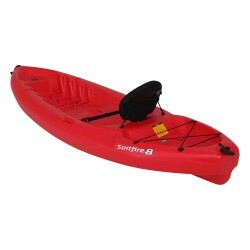 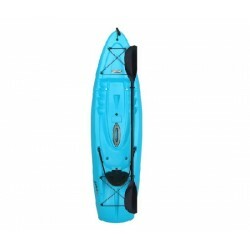 This kayak provides ultimate stability which beginners will appreciate and which also allows for easy hauling of fishing gear and camping equipment. 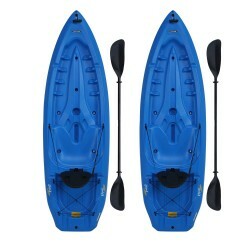 Includes 2 Backrests and 2 Paddles. 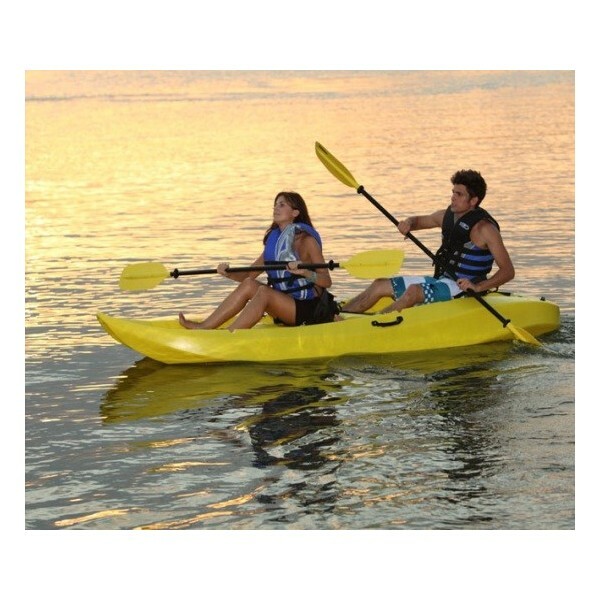 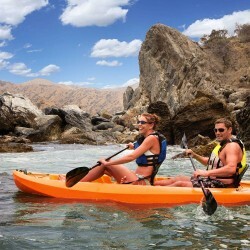 Fish, surf, or sail in this sit-on-top Manta tandem kayak from Lifetime Products. 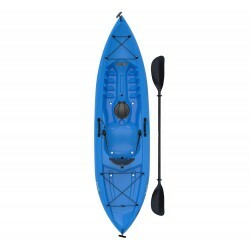 Seats 3 people. 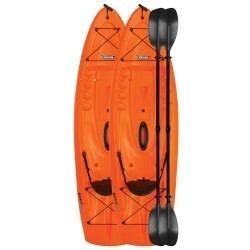 Tunnel hull design provides ultimate stability so it's practically impossible to tip over. 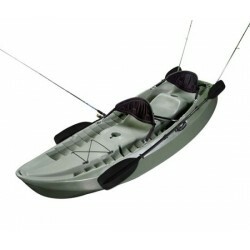 This model also includes two padded backrests and two paddles. 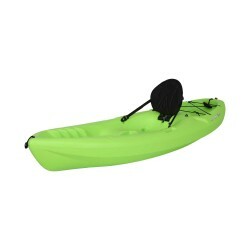 So convenient to use and lots of fun for the whole family. 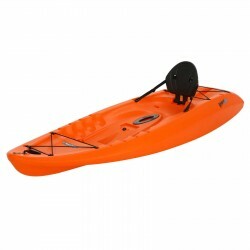 Excellent stability makes this the perfect sit-on-top kayak for beginners, but beginners and experienced kayakers alike will appreciate the innovative design and functionality of this multi-purpose kayak. 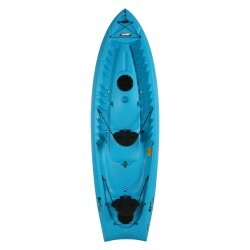 Includes 2 Backrests and 2 Paddles. 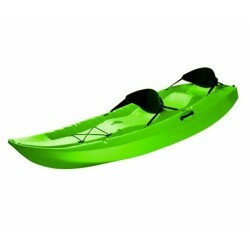 Note:Designed for flat water use only. 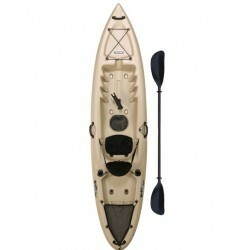 3 contoured seats, paddle cradles to secure the paddles when not in use, a mast receiver receptacle, multiple foot wells for leverage when paddling, a generous forward cargo hold with shock cord straps, ditty trays for holding odds and ends, cup holder, a side carry handle with molded front and rear handles as well, and scupper holes to drain the cockpit area. 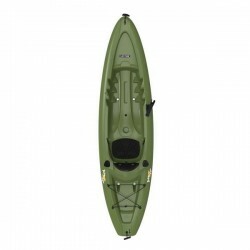 For beginner to intermediate kayakers. 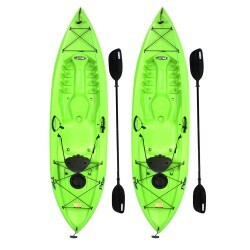 These 2 pc. 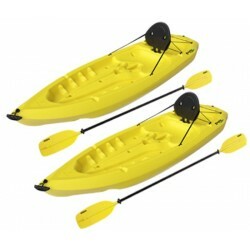 symmetrical paddles assemble to 7 ft (220 cm.) 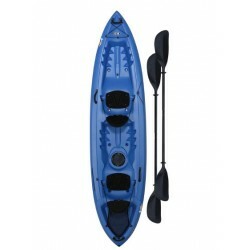 Aluminum shaft has vinyl covered hand grips positions and convenient drip cups to minimize the water trickling down the paddle and up your arm. 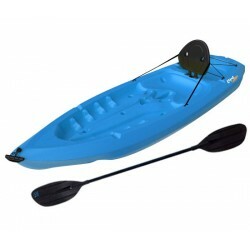 Interior foam flotation material will keep the paddle afloat if it is dropped in the water. 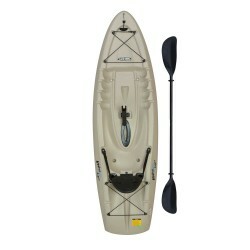 Standard push button allows for 90 degree angle of the ABS plastic blades as well as two position feather adjustments.